You know, our last GM, Jim Rutherford, catches a lot of flack, and deservedly so. After the Stanley Cup win in 2006, it all started going downhill, resulting in Ron Francis taking the helm to right the good ship Caniac in 2014. 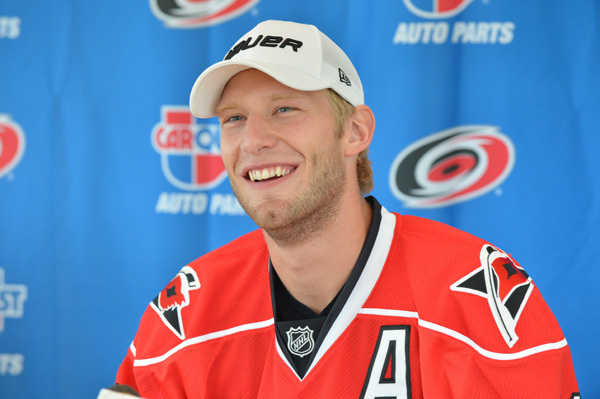 However, two years before he left, good ol’ Jim-Jim (… no one ever called him that) made a huge trade at the first day of the NHL entry draft, uniting two 2nd overall picks from the same family as he brought Jordan Staal to Carolina to join then-captain of the franchise, Eric Staal. The fact that he sent fan-favorite Brandon Sutter to Pittsburgh caused more than a few eyebrows to pop up. Many viewed Brandon as a piece of the new core that would help the Hurricanes return to greatness. He was also coming off a 32-point season (which he has only reached once in the three full years since he was traded). Add in the fact that he had just finished the first year of a three-year deal that was an extremely reasonable $6.2m TOTAL ($2.06m annual cap hit), and a lot of people immediately began to wonder if the Canes gave up more than they needed to. 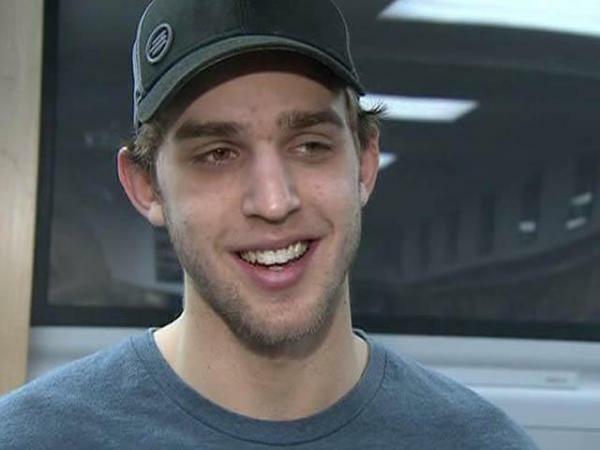 Brandon Sutter would go on to play for the Penguins for the next three seasons. In the 14-15 season, he finally got back to the 30-point mark with 21 goals and 12 assists. The Penguins also sent their 3rd round pick in 2016, who ended up being William Lockwood. Lockwood is playing for the University of Michigan and has 13 points (7g, 6a) so far this year. EliteProspects.com says that Lockwood is “A hard-nosed two-way winger that thinks ahead of the play and seeks to be proactive whenever he is on the ice.” He also won bronze in the 2016 World Juniors. The Canucks sent back Adam Clendening, a 2016 2nd round pick, and a player you might recognize named Nick “BONINO BONINO BONINO” Bonino. Bonino is the obvious stand-out of this trade as his contributions to the 2016 Penguins are well documented, but get this: Adam Clendening, along with David Perron, was traded to Anaheim for none other than Carl Hagelin, forming two thirds of the HBK line along with Phil Kessel. Wow. Oh and the second round pick ende up being Filip Gustavsson, a goalie still playing in Sweden with Lulea HF. Currently a 2.00 GAA and .931 save percentage on the year. BACK to the Staal trade. The 2012 1st round pick resulted in Derrick Pouliot being drafted 8th overall. Pouliot is a serviceable defenseman that has yet to really stick at the NHL level. (What? A JR draft pick not really making it so far???) He made it to the NHL in 14-15, and has played in 65 NHL games over three seasons (including two in the playoffs), scoring two goals and 12 assists for 14 career points. The other part of the deal was Canes defensive prospect Brian Dumoulin. A second-round draft pick in 2009, Dumoulin was one of the better defenseman in the Canes pipeline (lol, remember not having defensive depth?). He’s translated into finally getting a full season at the NHL level in 15-16. Since his first NHL game in the 13-14 season, Dumoulin has 93 regular season games played, one regular season goal, and 18 points. He’s also played in 29 playoff games for the Penguins, has TWO goals, and eight post-season points. Again, a solid “not bad.” This year he’s played 35 games and has seven assists. So what did the Canes get in return? Jordan Staal joined the Hurricanes in 2012 and has averaged over half a point a game. He immediately became an Alternate Captain, and continues to hold the “A” to this day. Jordan is also one of the primary drivers of possession (ask @Cane_alytics) and centered one of the most dominant lines for the Hurricanes in recent history with Andrej Nestrasil and Joakim Nordstrom last year. The Canes did pay a pretty big price, but Jordan Staal, while not reaching lofty expectations of some, has been one of the best Hurricanes players since he got here. He’s also signed through the 2021-2022 season, so barring a trade, he’ll be a Hurricane for a very long time.